Apple’s latest update for macOS is causing critical issues for users of third-party display products, including two popular screen extender platforms. Reportedly, macOS High Sierra 10.13.4 breaks support for popular third-party display products and platforms. The problems are not isolated, either.According to reports, “critical bugs” within macOS 10.13.4 are just rendering certain features of those platforms useless. DisplayLink, the producers of technology platforms that allows users to connect computers and displays via various methods, acknowledged the issue in a forum post on March 30. Apparently, installing macOS 10.13.4 will cause displays connected to a Mac via DisplayLink’s docks or graphics hardware to simply go blank. The company said it is working on a new driver that will enable a clone mode workaround, but not mirror or extended display modes. DisplayLink added that users who need those functionalities should not update to macOS 10.13.4. Other DisplayLink-enabled functionality — like wired internet and audio capabilities — are seemingly unaffected. That suggests that the issue is related to macOS 10.13.4’s display settings. In addition to DisplayLink, two apps that let Mac users turn an iPad into a secondary display also seem to be impacted by macOS 10.13.4. 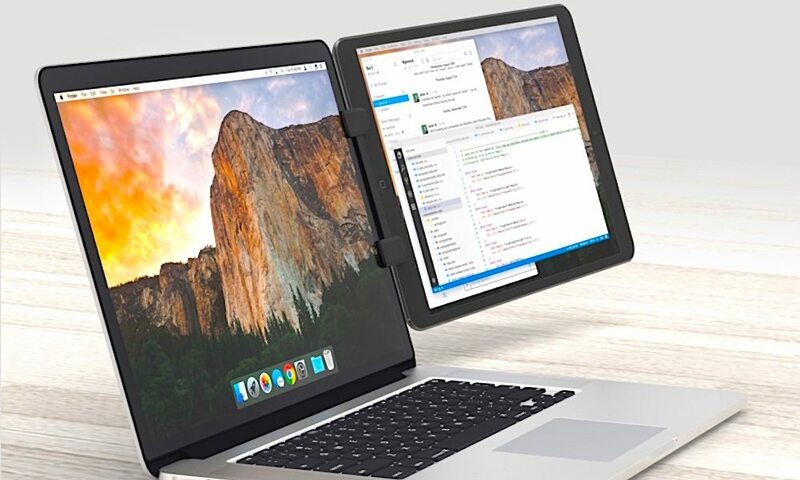 Duet Display, for example, wrote in a support article that upgrading to macOS 10.13.4 will cause the app to stop functioning. Apparently, the bug causes the Duet Display app to “hang” and simply become inoperable on the new OS. Duet Display, which runs for $19.99 on the App Store, allows Mac users to use an iPad as a second display by connecting it via Lightning cable. In response, the developers of the app are recommending that users refrain from downloading or instilling macOS High Sierra 10.13.4, and to contact Apple via its bug reporting platform. Reports also seem to indicate that the issue is affecting similar apps, like iDisplay and Air Display. The developers of the former app tweeted a warning to users late last month. Currently, it’s unclear what exact change in macOS High Sierra 10.13.4 is causing the third-party display issues — but some are theorizing that it could be the addition of eGPU support. On another note, it seems that the problems are not affecting external displays connected to a Mac through Apple’s first-party tech — like DisplayPort or the Thunderbolt standard. If you use or rely on a third-party display service or product, it’s currently recommended that you hold off on upgrading to macOS 10.13.4. If you’ve already updated and have run into issues, it might be smart to revert to a previous version of macOS using Time Machine (assuming that you backed up your system before you updated). DisplayLink and Duet Display both said they are currently working on resolutions, with the latter firm stating that it “actively looking into workarounds.” Apple has also been alerted to the issue and may be working on a patch itself.